The popular More Storm theatre scratch night at Middlesex University returns in October, having evolved from one-off evening shows into a two-day festival featuring 38 individual performances by 18 different companies and artists. This is the third time that Thrust (a theatre company founded by Middlesex graduates) have filled the Ravensfield Theatre at Middlesex with exciting new performances and works-in-progress, and Theatre Arts lecturer Pedro de Senna is among those getting in on the act. Pedro plays two roles and operates a full-size puppet in the acclaimed sign-dance-theatre musical Bad Elvis. Ahead of an imminent short run in London's West End, a 20-minute extract of the show will grace More Storm. 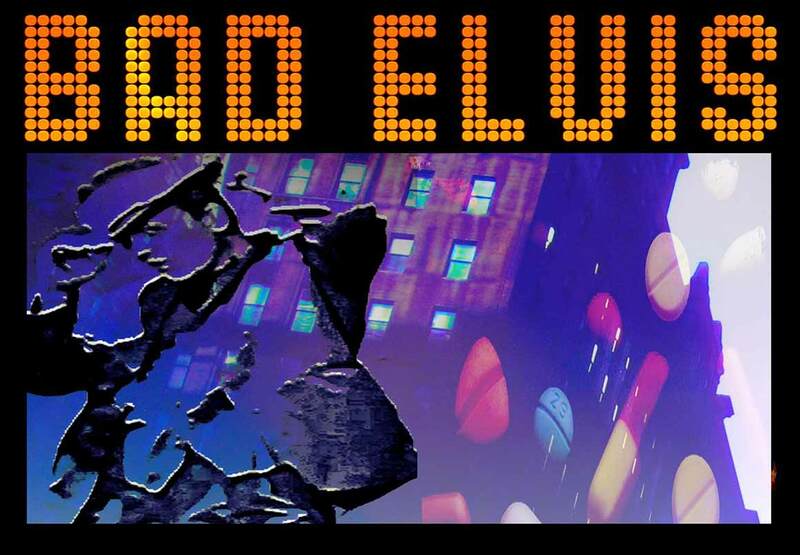 Written by Katie Hims for deaf actor David Bower and first broadcast on BBC Radio 4, Bad Elvis was adapted for the stage by the SignDance Collective. Bower, the company's artistic director, still plays the lead role. "The play can be read on many levels," says Pedro. "It's about family and forgiveness, assisted suicide, and it is a psychedelic pill-induced tribute to Elvis. It's a musical using the art form of Signdance, with bits of Sign Theatre, and a sign language singalong – a signalong!" 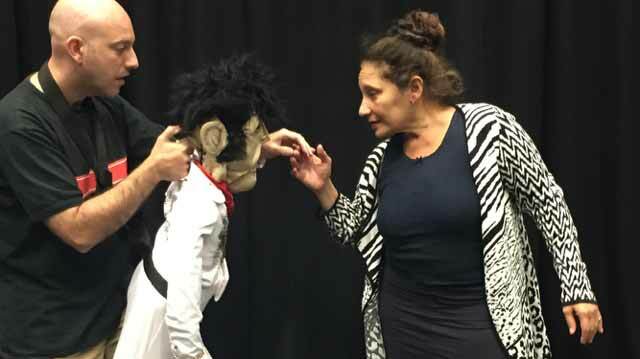 Being at More Storm gives Theatre Arts students the chance to see their lecturer perform outside the classroom, and Pedro thinks his work can only benefit his teaching. "My practice informs my teaching in many ways," he says. "At the basic level of training – working with the company I have to rehearse and train physically and vocally, and some of those techniques work their way to the studio at Middlesex. "Students appreciate the fact that I am working, and that I can talk about my frustrations, the difficulties I encounter preparing for certain roles, how particular techniques are useful for me and so on." Having worked closely with SignDance Collective, Pedro's own work has been greatly influenced by their aesthetic and he believes this in turn informs his research and his teaching. "Much of my research focuses on deaf and disability aesthetics, and I have written about the company's work – which feeds into lectures and seminars too. Theory and practice have to inform each other!" More Storm is on Friday and Saturday 2-3 October with Bad Elvis performed Friday, 7.30pm. Bad Elvis will be performed in full at the Iris Theatre, 15-17 October, and at the Ucheldre Centre, in Anglesey, on October 22-23.